While supplies last, obtain a refurbished 6605/DN at a significantly reduced price! These models look brand new and are fully tested to meet Xerox factory standards and come with a 90-day manufacturer’s warranty. 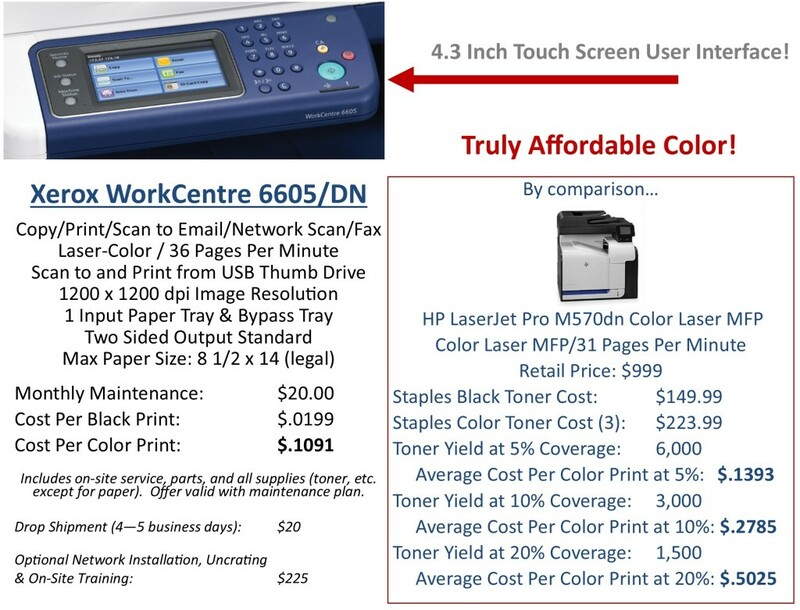 The 6605/DN comes with full multifunction technology (copy/print/network scan/scan to email/fax). It also prints in high impact color and has a 4.3 inch color touch screen user interface! This model is still sold as new and is one of Xerox’s biggest sellers. The 6605/DN has been our most popular small office unit in Southern Maryland for the last year as well. 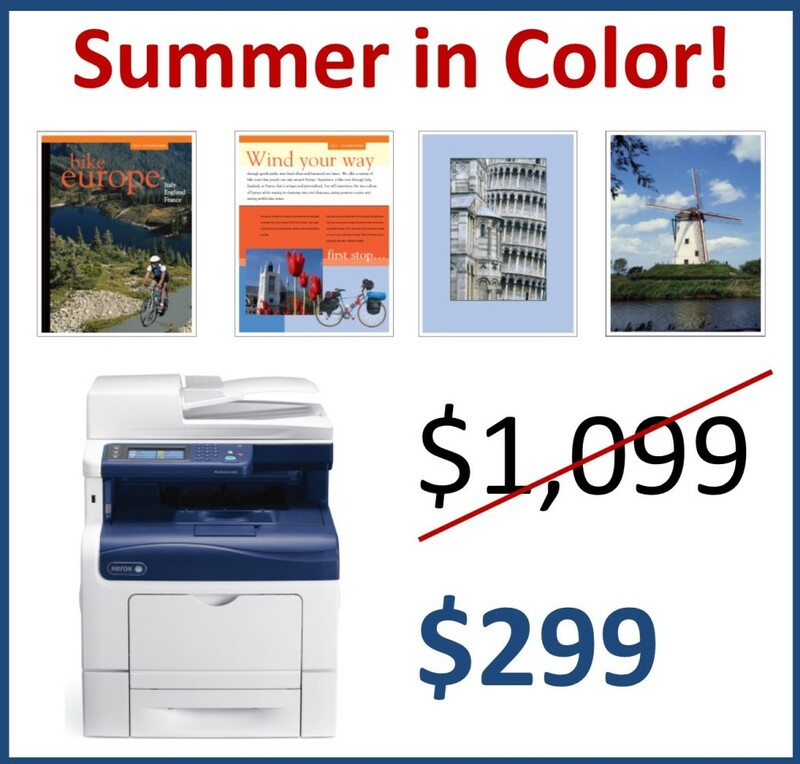 The Xerox WorkCente 6605/DN comes with our affordable maintenance plan that costs much less per color print than our competitors. Unlimited toner is shipped out automatically when needed. For additional information on the Xerox WorkCentre 6605/DN and an overview video, click here. Contact us today and make it a Summer In Color!